Suffolk Federal is proud to announce the promotion of Patricia Matuozzi of Patchogue, to Senior Compliance Officer. In this position, Matuozzi assists with the credit union’s overall compliance, security and risk management programs to ensure that all applicable rules, regulations and statutory requirements are adhered to. She is responsible for the Bank Secrecy Program and management of all processes. Matuozzi is a liaison with external legal counsel, law enforcement officials and external credit union personnel regarding fraud operations. She joined Suffolk Federal in 2004 as an Assistant Branch Manager and most recently served as Compliance Officer in the Medford Branch. 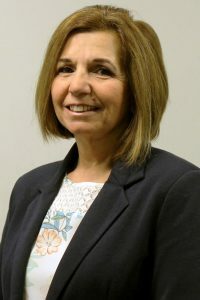 Prior to joining Suffolk Federal, she held positons of Legal Assistant at Stephen J. Caputo, PC, and Executive Assistant at Bank One. She earned her Bachelor of Science degree from the State University of New York in New Paltz. Matuozzi is a member of the Long Island Fraud and Forgery Association (LIFFA), Institute of Internal Auditors (IIA), The Law Enforcement and Retail Network (LEARN) and is an avid supporter of LI2DAY Breast Cancer Walk, an organization that raises awareness and funds breast cancer.